It’s a real scenario here. You might have successfully dodged last pricing tragedy in China, but I’m 100 percent sure, you must be stuck at this situation right now. Your suppliers told you they had to delay production for at least 1 month. They said they had to change the negotiated price again, because the raw materials price is increasing too. “Don’t believe it? But for good reason, it is true”. Yes, China is seeing its second raw material price surge right now. With increasing pressure from environmental sustainability issues, China has vowed to step up efforts to “make our skies blue again”. This time, it is making a desperate attempt to clamp down on plants that violated the environmental regulations. Since 2015 when the pilot environmental inspection program was introduced, central inspection teams have carried out three rounds of inspections in 23 provinces, leading to more than 32,000 enterprises to suspense operations, even directly shut down business in some cases. 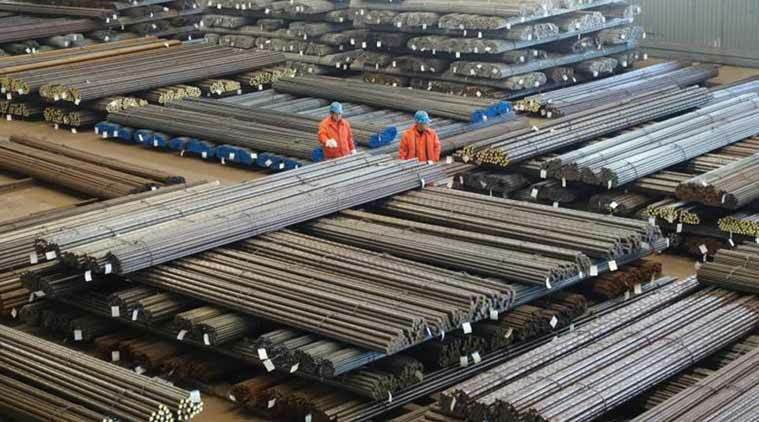 About 42,000 companies were fined for more than 800 million RMB, and 1,000 factory owners were brought against criminal charges. In April 2017, government tightened its policy, and launched another air pollution inspection campaign, which will conduct multiple rounds of investigations targeting polluting industries, covering all 31 provinces, autonomous regions and municipalities by the end of 2017. Those moves made a fatal knockdown on Chinese factories. Most of them are suffering more than what you have imaged. Take Yiwu market for an instance. Yiwu, as the world’s largest jewelry and accessories wholesale market, was hit harder during this crackdown. Concerning about the cadmium ingredient, almost all plating factories and workshops were closed down for a month or even longer, until they comply with regulations. Look around the District 1, Yiwu International Trade City, half of stalls are closed for a suspended production. Some factories are immediately shut down if they are uncovered to lack of related licenses. More than that, the owners should be fined or put into jails. Under such a stringent environmental protection, lots of plants have to elongate their lead time. Many more smelters are being threatened to close. Numbers showed that 30% of Aluminum smelting companies in the North China had been closed. In this April alone, as much as 5 million tons of Aluminum was reduced. Plating factories in Yiwu have to wait a month delay or longer in production. Packaging materials suppliers are hit harder. A long list of factories has been prepared to stop production. This crackdown move is evolving in different fields. Strengthening the environment clean-up backfires heavily on the overall prices of raw materials, like silicone, aluminum and steel; their prices have continued the up-trend. 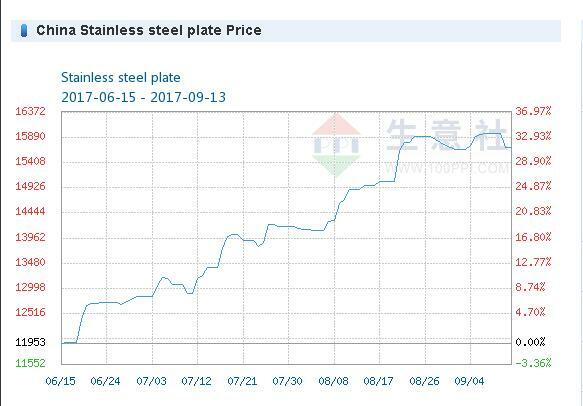 Since from June 15th, the stainless steel plate price is growing by 32.93% while the paper price is surging rapidly by about 13.2%. 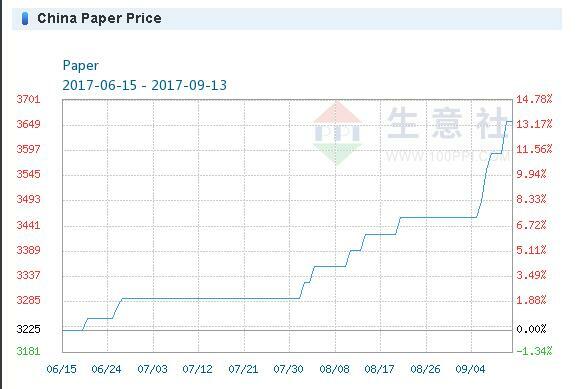 In this August, recover paper cost at 2,156RMB/ton, but right now it has climbed up by 100~300RMB/ton. Newspaper price was going up with a 37.5% growth rate from 4,000 RMB/ton to 5,500 RMB/ton in the past month. Raw material market is going to be bullish, and the finished products prices continued increasing obviously. The business environment in China is challenging. Though it might affect your supply chain, you’d better think it for good sake. If one of your suppliers is hit by the campaign, at least it means you once had a spoiled apple in the whole barrel. 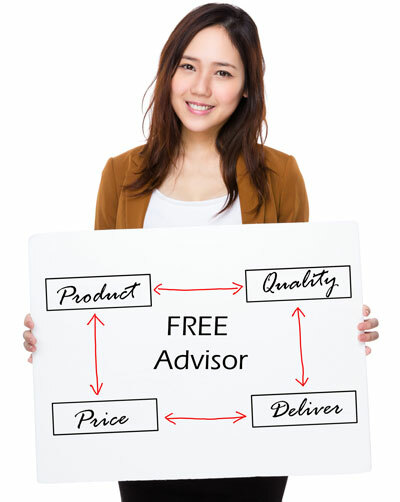 A polluting process in your suppliers might bring a damage risk to your brand. To minimize this risk, you should vet your suppliers’ compliance with the current law in advance. On the other hand, the strict environment-protection activity represents a radical-to-be shift in China’s market. China, as a fast-growing economy, is going to put a high premium on sustainability at the expense of growth for the sake of global climate. We think we do it right. We are increasingly seeking less-polluting ways of sourcing and processing raw materials. 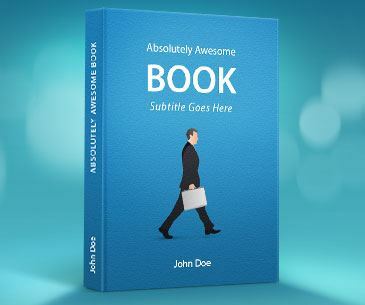 In the end it will be beneficial for both the buyers and sellers.